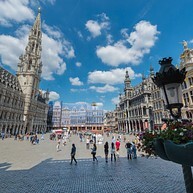 The Grand Place, listed under the UNESCO world heritage, is considered one of the most beautiful squares on earth. This bronze statuette, produced in the 17th century by J. Duquesnoy the elder, embodies the rebellious spirit of Brussels. 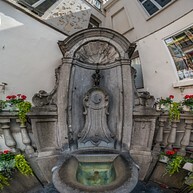 From the status of a public fountain, today it’s presented as a legendary figure. With numerous costumes and decorations, its wardrobe includes some 800 pieces. 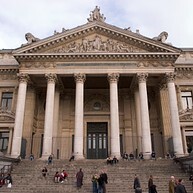 The Centre for Fine Arts is the centre of arts par excellence in the cultural landscape of Belgium. 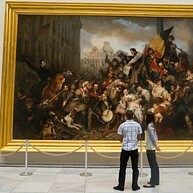 It proposes an international programme in the centre of Brussels. 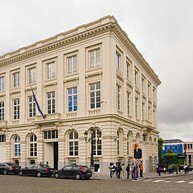 Situated in the heart of the museum quarter in Brussels, the Magritte Museum is home to a rich collection of surrealism masterpieces from around the world. 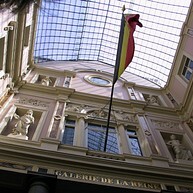 Initiated by the architect Jean-Pierre Cluysenaer, the spectacular Galeries Royales project took shape in the 1830's. The works, begun in 1846, were almost completed in time for the official opening on 20 June 1847.